convenient location, an apartment with all necessary facilities and a nice view. Easy check in and check out. Secure building accessible by code. Location is excellent to access public transportation to access all of Brussels. Staff was friendly and helpful when I called for more info. The location is very nice. I was surprised that the living room and the bedroom were both large. The room was very spacious. Metro station is very close to the apartment. The bed was very comfortable. Location, space, the windows. Good to have washing machines available in the building. For those wanting a retro blast - there is a fax machine! Kitchen has everything you need. Beds were good. Wifi is working. The bathroom was clean and spacy, The apartment is just 50m away from metro station and only about 600 m away from Cinquantenaire - so you can walk there too. Revel in comfort and classic style at your own city apartment near the famous and impressive EU Quarter and next to the Montgomery Square. B-Aparthotel Montgomery offers free Wi-Fi access. 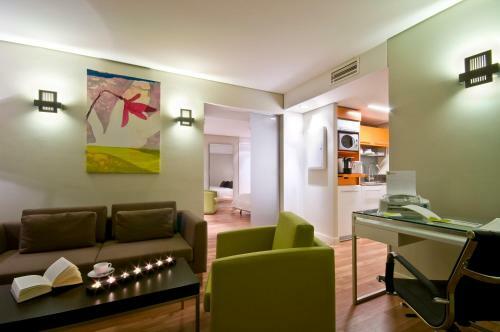 Tastefully decorated and provided with various modern comforts, these apartments offer a warm ambiance for your stay. Indulge in luxurious, self-catering accommodations, while still benefiting from extensive hotel services. Certain apartments offer a fully equipped kitchen which can be used by the guests. You can walk up to the impressive EU Quarter and stroll through its fabulous parks to admire the gardens and visit various European institutes and museums. Take advantage of the excellent connections to the historical center and discover the impressive Grand Place and the surrounding, characteristic streets. When would you like to stay at B-aparthotel Montgomery? The 1 bedroom apartments are available in single or double occupancy and are between 39-55m2 in size. The apartments include a spacious living room with separated bedroom with double bed, a fully-equipped kitchen (including a fridge with freezer, dishwasher, microwave, kettle, toaster, 2 cooking rings, cooking and kitchen ware, cutlery), and separate bathroom with guest amenities. Additional bedding or baby bed is possible upon request and availability. The 1 bedroom apartments can accommodate a maximum of 3 people. 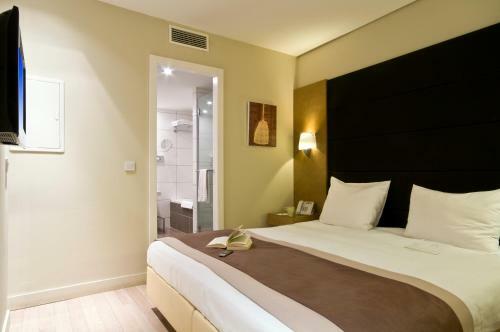 The Duplex rooms are available in single or double occupancy and range from 70-80m2. The apartments feature a large living room with ceiling to floor windows, a fully-equipped kitchen (including a fridge with freezer, dishwasher, microwave, kettle, toaster, 2 cooking rings, cooking and kitchen ware, cutlery), and a large bedroom with double bed on the mezzanine level with a separate bathroom with guest amenities. Duplex apartments can accommodate a maximum of 4 people. Studios are available in single or double occupancy and are 30-38m2. Studios include a double bed, a fully-equipped kitchenette (including a fridge with freezer, dishwasher, microwave, kettle, toaster, 4 cooking rings, cooking and kitchen ware, cutlery), and separate bathroom with bathtub and guest amenities. Note that it is not possible to add extra bedding, only baby cot is possible upon request and availability. Executive rooms are available in single or double occupancy and include a spacious bathroom. 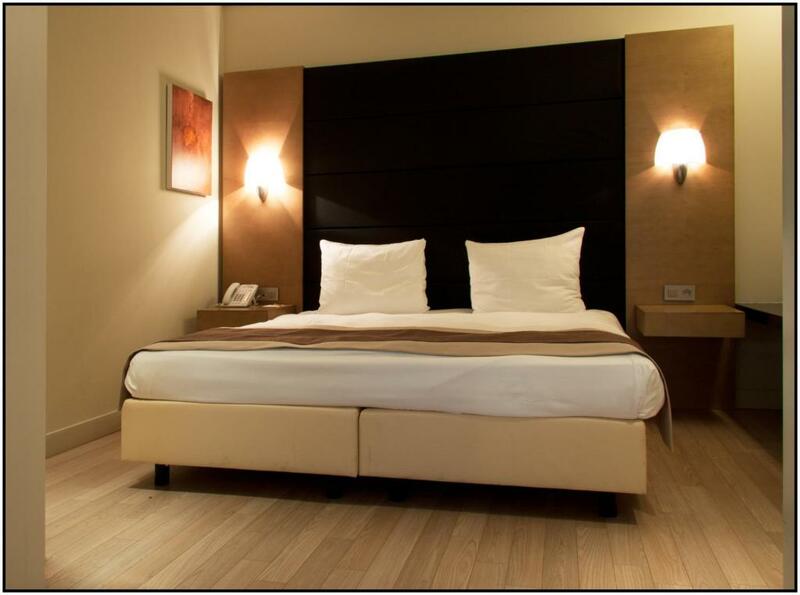 Executive rooms are between 25-30m2 big. It is not possible to add extra bedding in the room, only baby cot is possible upon availability and request. B-aparthotel Montgomery is one of five B-aparthotel residences in Brussels. Feel at home in one of 34 spacious apartments, comprising 1 or 2 bedroom apartments, studios, duplexes and a penthouse suite, all with private balconies. Be free. Be independent. Be in your own space. 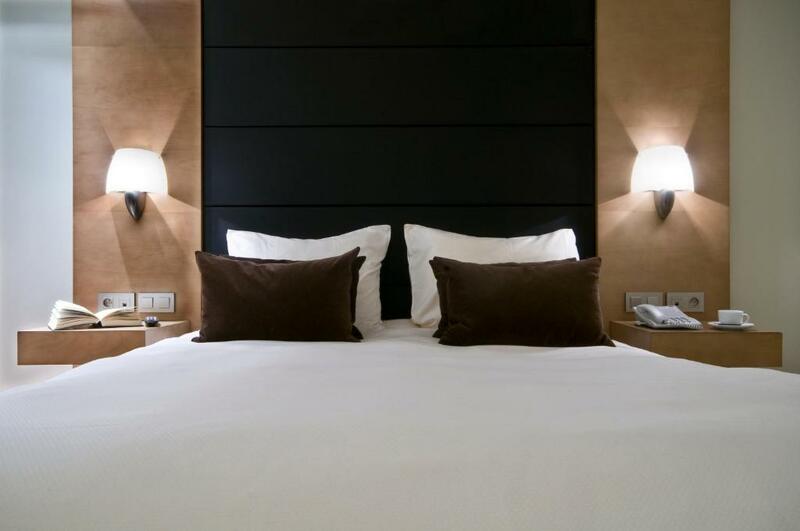 B-aparthotels offers weekend-retreaters, travellers and long-stay corporate city slickers the freedom to stay in spacious, serviced apartments in key European city centres. Be in control. Be free to live your life, your way. Just be. Montgomery is easily accessible by public transport and is only 10-minutes away from Brussels historical centre and its famous shopping areas. Montgomery is within walking distance of the European institutions and a 5-minute drive to NATO headquarters. House Rules B-aparthotel Montgomery takes special requests – add in the next step! B-aparthotel Montgomery accepts these cards and reserves the right to temporarily hold an amount prior to arrival. Please note that B-Aparthotel Montgomery has no reception. Please note that you will receive an access code by e-mail in order to enter the residence. Please contact the property in advance for further details and in case of any questions. Room was old and full of permanent stains in the kitchen area, table and chairs. Really not nice! It’s a bit run down to be frank. My bed was about 30 centimetres too short. It was a mezzanine room which was huge but quite sparsely furnished. There was a small kitchen which was quite well equipped but shabby. The spare quilt was stained. Good location for my requirement. A short walk to the metro and trans. Plenty of bars and restaurants nearby. I was perplexed that I had to call the owner without reception. A little dated - and it would have been nice to be able to store luggage for a few hours. Safety: electricity not working, plug not fixed. Water boilee (small size) the cap could be removed and not fixes. We stayed for 4days and at least one change of sheets should have been done, however no change of sheets, no cleaning of the room, no removal of garbage. The utilities in the kitchen as like frying- pan or dishes were absolute desaster. Frying-pan I guess as old as house itself, the dishes maybe washed by dishwasher but not clean. Had to wash-up before using. The furniture are with stains and not clean. Would like request for the return a certain percent of the charge as the hotel is not fulfilling what they promise and which should be seen as minimum standard. The facility was old and not maintained. easy check-in; quiet room as asked, all fine. It is all past its best - it is tired and desperately needs an upgrade. The kitchen is cramped and not well equipped. A lavatory on a seperate floor to the shower is not very useful. It looks as if everything is from the earlys 1990s - There is considerable wear and tear. For example, chairs are stained. There were workmen in the building with lots of drilling noises during the day - there was a note explaining this but people should be told when considering a booking. The place did not feel clean or fresh. I travel a lot - and this is below standard.